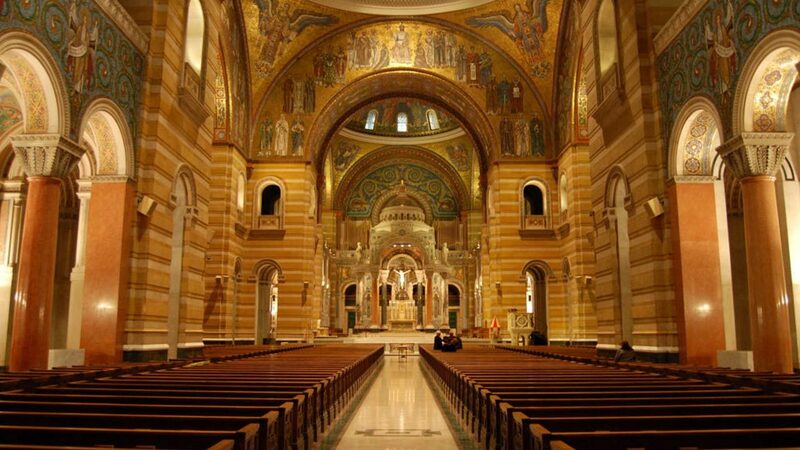 Join the entire Sacred Heart family on Sunday, Nov. 18 for the Religious of the Sacred Heart’s Bicentennial Closing Mass at the Cathedral Basilica of St. Louis celebrated by the Most Reverend Robert J. Carlson, Archbishop of St. Louis. Mass is at 2:30 p.m. with a reception following. Valet parking is available. For more information, please contact Carol Pfitzinger, Shrine Director, or call 636-946-6127, ext. 1801.